I’ve seen a lot of stuff in over a decade covering the movie business, but I’m not sure I’ve ever seen this before: A main character from a movie with two different last names, used interchangeably online. We all know Wikipedia can occasionally get its facts wrong, but it’s not an outlier in this case; the Stokes-to-Soke ratio around the internet is about 50/50. 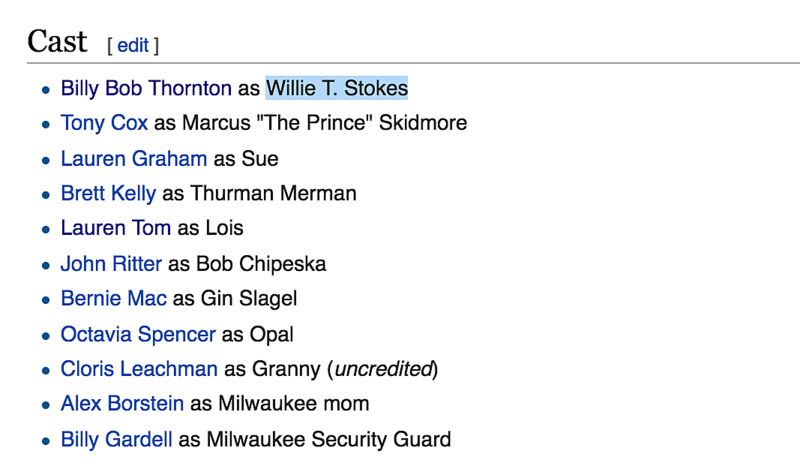 “Willie T. Stokes” gets you about 34,000 hits on Google. 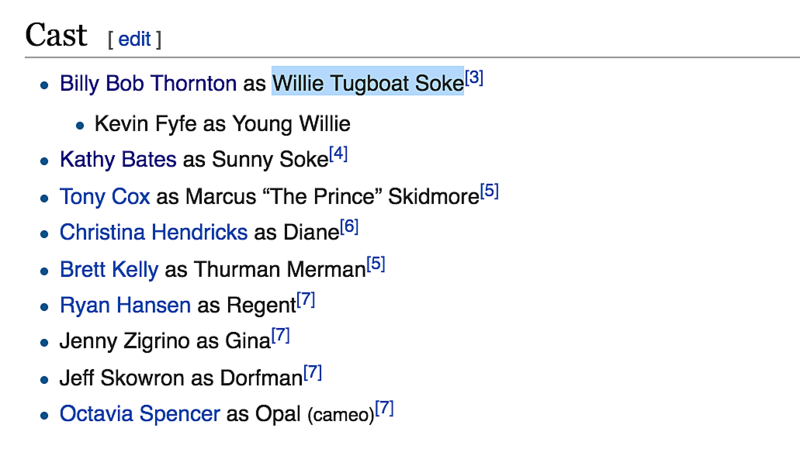 “Willie Soke”? 31,000. This isn’t particularly ambiguous. Which begs the question: Where did all this confusion come from? How this mistake happened I have no idea. 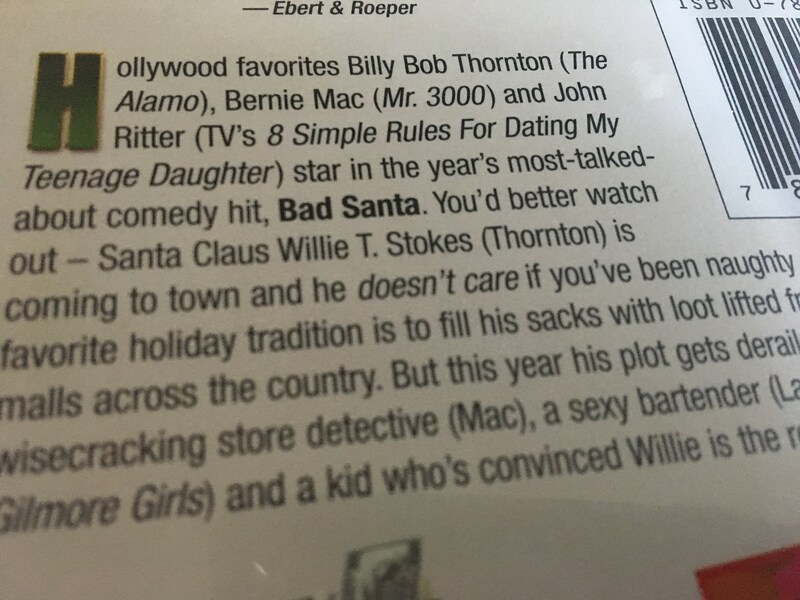 But somebody put the name Willie T. Stokes on the Bad Santa DVD, and it spread from there, even though the actual movie very clearly called him something else. 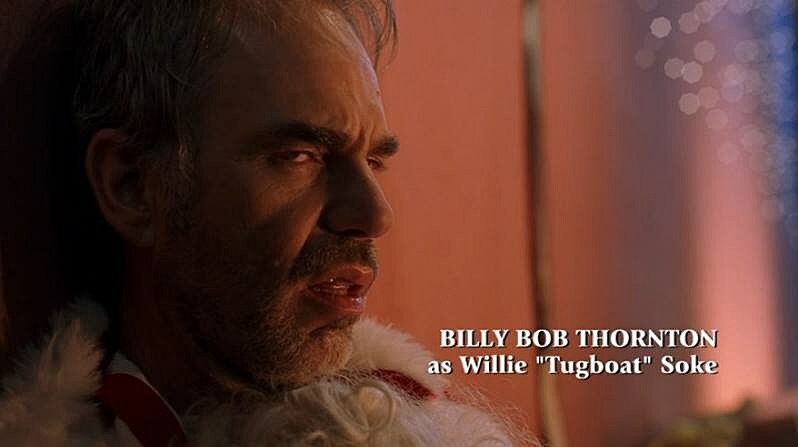 Either way, the new movie definitely thinks he’s Willie Soke (the name’s in the official synopsis and on his mugshot in one scene). So from here on out, let’s just agree. 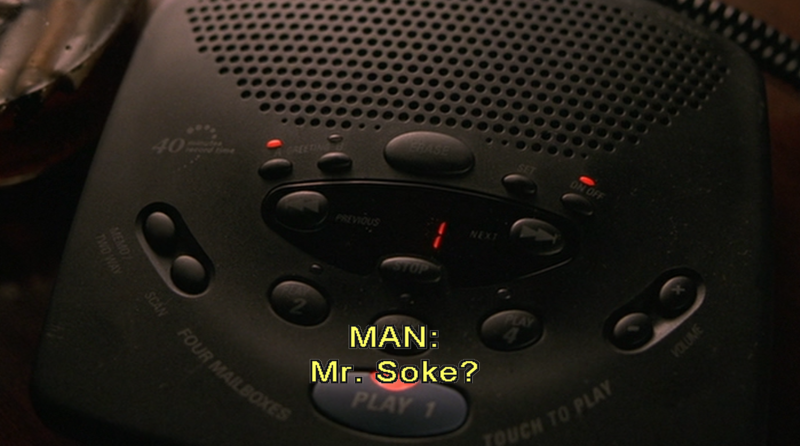 The guy in Bad Santa is named Soke. Anyone who says otherwise gets a lump of coal in their stocking.